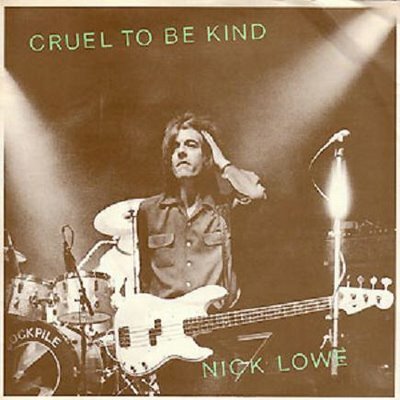 Reaching no.12 in the UK top 40 in August 1979 (and weirdly, it also managed to hit no.12 in the US, Australian and Canadian charts as well), Nick Lowe’s ‘Cruel To Be Kind’ is classic late Seventies powerpop, taken from the ‘Labour of Lust’ album. The video features Carlene Carter, daughter of June Carter-Cash, and step-daughter of Johnny Cash. Lowe and Carter were married for several years, and seem keen to re-enact it in this video. There’s a nice ‘Stiff’ logo that starts and ends the video, Stiff being Lowe’s record label, and also the home to some real British Talent in the late Seventies, like Madness, Ian Dury & The Blockheads and Elvis Costello.